Easter Sunday often means a big meal with family. Many have the family gathering over a big dinner. Some, however, make an event over breakfast. Whether it’s a holiday, or you just want to spend time with family or friends, you can create a great experience with what some consider a breakfast staple. The waffle is a favorite for many – especially here in South Carolina’s Upstate. You may be thinking there are only so many ways to make a waffle, but you couldn’t be more wrong. Allison Miller from Cupcake Diaries shows several different ways to create a great-tasting waffle. 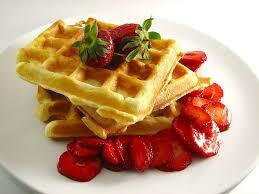 Waffles don’t have to be boring. You can make them in a variety of ways. The Powell Group is here to assist with all of your kitchen creations. Our team members are here to answer all of your questions and concerns.